Horizon Housing Association (part of the Link group of social enterprises) will continue to provide North Lanarkshire Council’s Care and Repair service until March 2020. The service provides practical help to residents in North Lanarkshire (who are of pensionable age or are disabled) with small repairs and tasks around the home. The current contract was due to end in March, but this extension ensures the service is available to continue to support older and disabled owners maintain their homes beyond this date. 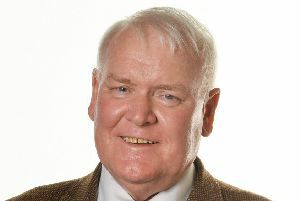 Councillor Allan Graham, convener of Enterprise and Housing, said: “North Lanarkshire Council is delighted to provide funding of £205,000 to support the continuation of the Care and Repair service across the area, for 2019/20. “This is great news for our older and disabled residents who use the service to help them with small repairs and tasks around the home. For more information call 0330 3030301, email northlan@care-and-repair.org or visit www.northlan.care-and-repair.org.